Silay as a town is more than a quarter of a millennium old...it was founded in 1760 in a letter of Governor Juan Jose de Mijares (1772-1775) mentioning Silay as a leading town in the North. 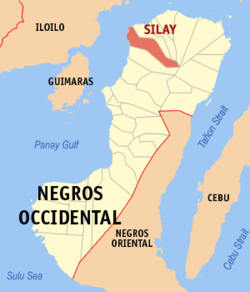 In 1776, the bishop of Cebu considered Silay as the center of the Parish. The town was named Silay because of the abundance of the Kansilay trees growing in the area. Silay became a city in 1959 but to this day it has retained its old world ambiance with subtle modern day amenities that makes it an ideal place to live in. Silay is the second place in the Philippines to be declared a Museum City after Vigan. In spite of being so near urbanized Bacolod City, it has preserved its history by the continued presence of its many heritage houses. These houses, unlike those other heritage places in the Philippines which are generally Hispanic in influence, showcases architectural designs ranging from pre-Hispanic, Hispanic and American. Because of these, the city has been identified by the NCCA and NHI as a heritage site. But Silay is not just about old houses. It is also about it's culture and lifestyle, it's food and most of all, it's people and society. Silay demographics have changed a lot in the last 30 or so years...a lot of the present generation of the old families in the city have moved away to bigger cities, in and out of the country. The middle class has found its niche in Silay society but they are oblivious (even clueless) about the heritage of Silay and are not really interested in a past they have nothing to do with. For many Silaynons now, it was a different time and a different world. But heritage is an essential element of what Silay is today. Without heritage, there would be no Silay. This is what this blog was initially all about...a record of the glorious and unglorious past of Silay. There have been many stories told and untold surrounding Silay that may or may not be completely factual as all verbal history tend to be embellished after time, but I believe they need to be written down, otherwise these stories will be forgotten and lost forever. These stories are part of Silay's history and future generations would be wise to know about these, for them to understand and continue the preservation of the city's cultural heritage. Besides, I find that when people talk about it, the complete truth would come out and the story can be set straight, as evidenced by the feedback I have been getting from readers. 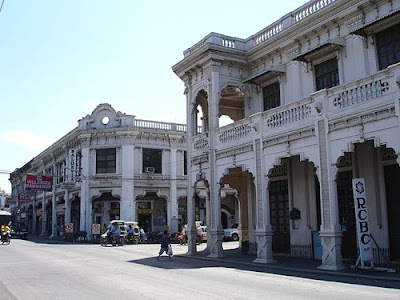 As I continue to write about Silay, I realized that heritage preservation is something that all people should be doing, and so this blog will attempt to influence, convince, sway, move and persuade people to do that. But if all fails, then... On a lighter note, the blog also hopes to recapture a time where dignity, honor and respect for family were a way of life. We learn from the past but we live in the present and look to the future. Like many other Web sites, www.silayheritage.com makes use of log files. The information inside the log files includes internet protocol ( IP ) addresses, type of browser, Internet Service Provider ( ISP ), date/time stamp, referring/exit pages, and number of clicks to analyze trends, administer the site, track user’s movement around the site, and gather demographic information. IP addresses, and other such information are not linked to any information that is personally identifiable. Google’s use of the DART cookie enables it to serve ads to users based on their visit to www.silayheritage.com and other sites on the Internet. www.silayheritage.com has no access to or control over these cookies that are used by third-party advertisers.